President Trump must warn Israel that its rapidly growing economic relationship with China must not come at the expense of U.S. security and intellectual property interests. While Israel-China trade has increased dramatically in recent years, its scale now poses a challenge to U.S. interests. 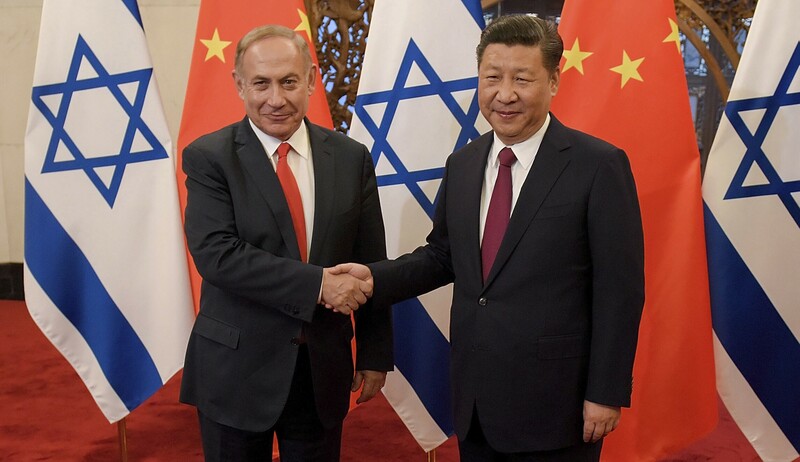 As the BBC reports, Chinese investment in Israel is now likely to reach more than $15 billion annually and encompasses a wide range of high-tech companies. While there’s nothing wrong with that trade on paper, China’s investments here are not ultimately rooted in economics. They are rooted in gaining access to and proprietary rights over the most cutting-edge technology software and hardware coming out of Israeli design laboratories and factories. And they are focused on those things because China wants to challenge the U.S. in its leadership and structuring of the global order. On the Israeli side, with Prime Minister Benjamin Netanyahu’s already beleaguered government desperate to boost exports, China offers many answers and few problems. After all, where the U.S. and its Indo-Pacific allies face Chinese territorial aggression, unfair trading practices and intellectual property theft, Israel faces few similar concerns. On the contrary, Israeli dealings earn a more favorable Chinese hand on the international diplomatic stage. And that’s even before considering the thousands of Israeli jobs and ongoing research projects Chinese investments support. But for the U.S., the interests are divergent. As China’s military modernization program continues apace, Beijing is integrating high-quality surveillance and targeting software into its defense portfolio. And while China can steal some of this material from the U.S. and European nations and also buy elements from European nations, it cannot get all that it needs. Israel’s array of boutique cyber and machine/machine parts are the answer to strengthening China’s military gaps. Be under no illusions: China intends to use these capabilities to marginalize U.S. influence and interests. Trump’s action is needed now. Please go to Washington Examiner to read the entire article.